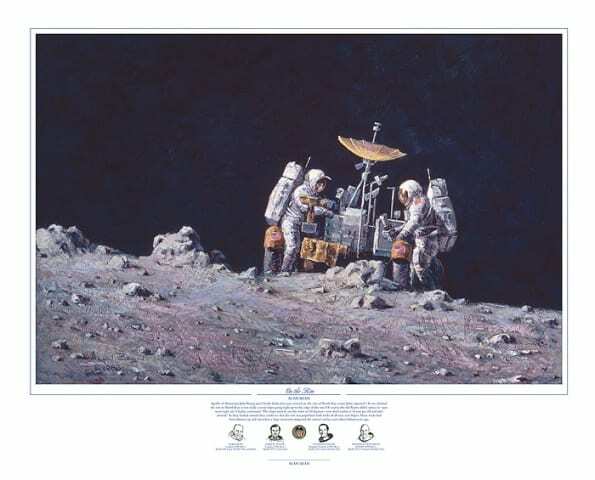 On the Rim by Alan Bean shows that Apollo 16 Astronauts John Young and Charlie Duke have just arrived on the rim of North Ray crater. They climbed the rim to North Ray – it was a really steep slope going right up to the edge of the rim. Of course, the old Rover didn’t notice it, – just went right up. 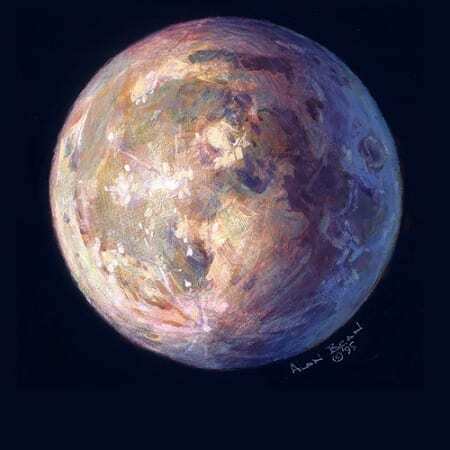 As they looked around they could see that the rim was populated with rocks of all sizes and shapes. These rocks had been thrown up and out when a large meteorite impacted the surface of the moon’s surface. 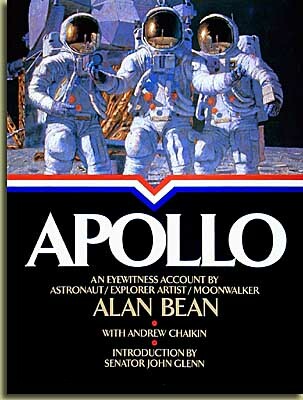 Alan Bean was one of 12 people to walk on the moon. 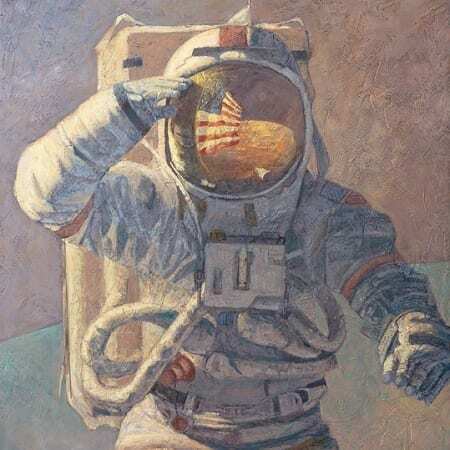 Not only is he an astronaut, but he is also an acclaimed artist. Bean’s work has been sought after far and wide not only for it’s popularity, but because it is the most unique kind of art out there. 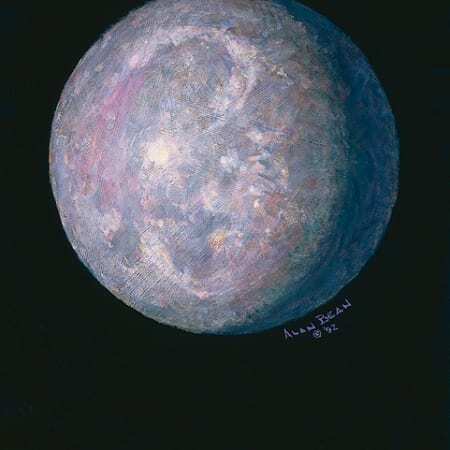 Alan Bean is the first artist to have every been on another planet. Alan Bean artistically portrayed what it was really like on the moon in each and every one of his painting’s.